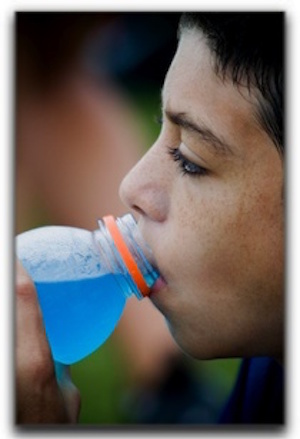 Many health-conscious individuals in the Parkton area exercise regularly, and many turn to sports drinks for hydration. While it’s true that they help preserve electrolyte levels in the body (and pose fewer health risks than energy drinks), their acidity can erode tooth enamel. And when tooth enamel erodes, those pearly whites are more susceptible to staining, discoloration, and decay. If you have already experienced staining and tooth discoloration and would like to know more about porcelain veneers and teeth whitening in Monkton, give Hereford Dental Health – Craig Longenecker DDS a call at 443-672-2548. Dr. Craig Longenecker has been providing first rate dental care since 1998. The understanding staff here can answer any questions you have about critical preventative oral care and cosmetic dentistry procedures such as veneers, gum contouring, invisible braces, tooth-colored fillings and smile redesigns.